CES 2012 Mitsubishi MIEV New 4 door electric car!! While at CES 2012, I had the opportunity to take a look at, film a video of and examine the new Mitsubishi MIEV verhicle. I was reasonably impressed. I am 6 feet 2 inches tall, 225 lbs, and I sat in the car and fit fairly comfortably. It would be a great vehicle for college age folks, commuters, or the elderly since it requires no gas whatsoever. I was impressed by the design, the interior design, the seating and the room. Compared to the Smart cars by Mercedes they MIEV seemed to offer much more for the money. The other nice thing is that you get a tax credit for owning one as well as saving on not having to buy gasoline at nearly $ 4.00 per gallon. I would definitely recommend the car as a nice around town vehicle. No tailpipe. How literally refreshing. The all-new Mitsubishi i is 100% electric. It will never burn a drop of gasoline or emit one single molecule of exhaust gas from its tailpipe. In fact, it doesn’t even have a tailpipe. Here, the internal combustion gasoline engine has been entirely replaced with a clean, efficient electric motor and a high-tech drive train that produce zero on-road emissions—and all kinds of good times. Welcome to a whole new era of transportation. Every amp, watt and volt is accounted for. The Mitsubishi i is a finely-tuned energy conservation machine. Here’s a quick look at some of the technology that combines to get the most out of every charge. The stunning dashboard offers easy-to-read feedback, letting you know when your driving is most efficient. Mitsubishi’s proprietary MiEV operating system constantly oversees the major components of the all-electric drivetrain to achieve the best possible eco-friendly performance. Regenerative brakes convert the energy from deceleration into electricity and recharge the battery as you drive. The shift selector offers a choice of three driving modes. Choose between maximum fun, maximum economy and maximum regenerative braking. Strong yet lightweight materials help keep you safe and improve mileage dramatically. 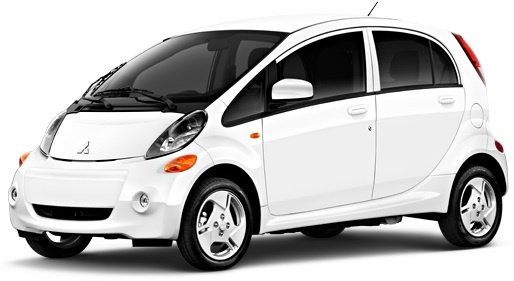 Be the first to comment on "CES 2012 Mitsubishi MIEV New 4 door electric car!!"